Patrick brings numerous valuable legal experiences to his law practice to better serve clients. The prestigious international law firm of Haynes and Boone hired Patrick after he graduated with honors from law school. Patrick practiced in the firm’s business litigation section for three years. He learned from some of the top litigators in Texas and honed in his legal skills handling complex commercial litigation disputes. Patrick eventually joined a medium-sized firm in North Dallas where he gained hands-on court experience. His interest and skills for advocacy for his clients began to flourish in the court room. Patrick appeared before numerous courts and administrative bodies in a wide array of matters including business disputes, personal injury cases, and family law cases. Although Patrick enjoyed a traditional firm practice, he sought more. Patrick believed that he could more effectively and passionately represent his clients without the billing and bureaucratic strains of a firm. To that end, Patrick decided to create his own law practice which continues to grow to date. Patrick strives to creatively and zealously represent his clients. His peers have recognized his achievements and voted Patrick as a “Rising Star” in Texas Super Lawyers four separate times - an award only given to Texas attorneys who receive the top 2.5% of votes from other attorneys. 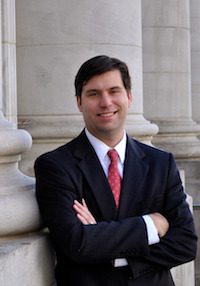 Patrick is routinely approached by other attorneys in the state to serve as co-counsel in various litigation matters. Patrick lives with his wife and three children in Dallas. He is a member of Park Cities Presbyterian Church and volunteers his time coaching his kids' sports teams and supporting public school programs. When not consumed with the law, Patrick finds refuge by fishing and hunting.